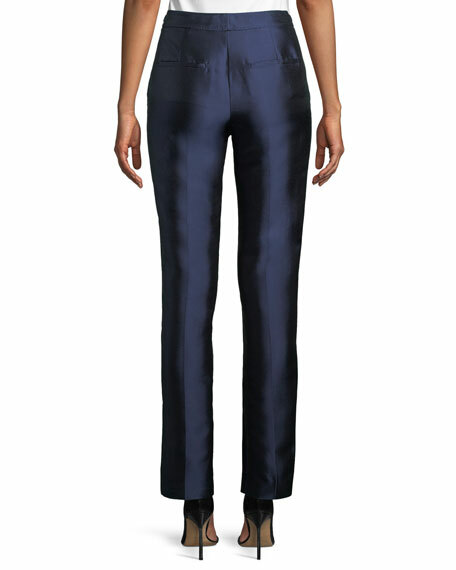 Gabriela Hearst "Morrison" shantung pants. 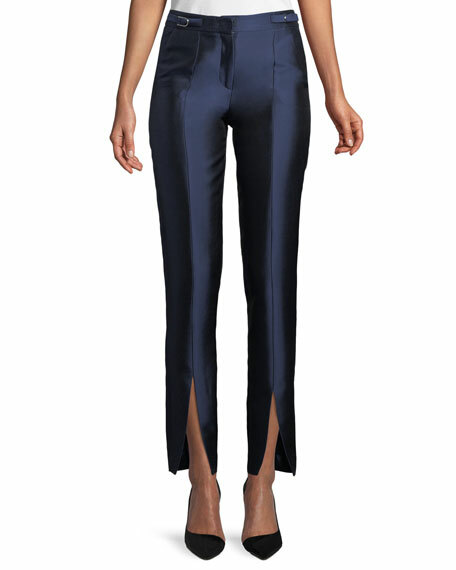 Cropped hems; split at front center. For in-store inquiries, use sku #2460729. 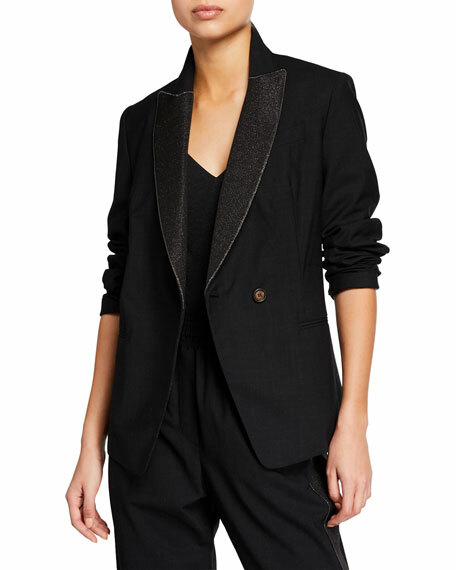 Shayne Oliver for Helmut Lang open-chest wool blazer. Notched lapels; concealed button closure. Long sleeves with button cuffs. 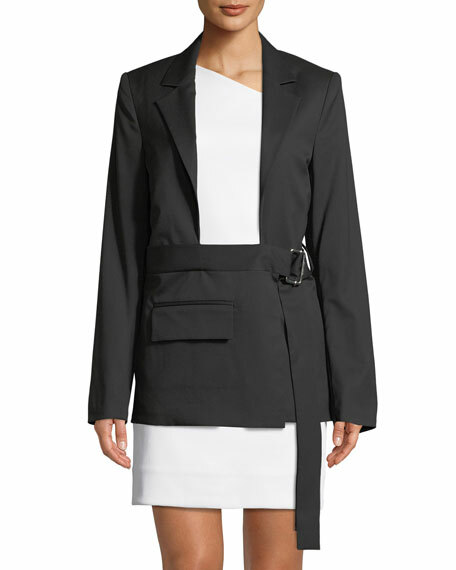 Belted; buckles at left. Flap pocket at front. Tailored fit. Straight hem. Imported of Italian material.